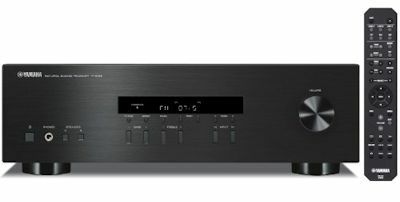 If you buy a new stereo receiver, make sure it has the connectors you need for your current components. In Norway, FM has been discontinued in favour of digital. You might want to be prepared. The Natural Sound series have fewer buttons that usual. Most of the time, you forget what the buttons do, somebody plays with then you get less than optimal sound. Comes with a remote. Has FM but not digital radio. No phono. Supports only two speakers.